Across the street from the Granary Burying Ground is Beantown Pub. For some reason, a joke we heard about the pub runs through my head everytime I think about this site: “This is the only place you can get a cold Sam Adams while looking at the cold Sam Adams.” I don’t know that it’s particularly funny, but it’s definitely an interesting and provocative suggestion – but not nearly as provocative as John Hancock’s gravestone marker. 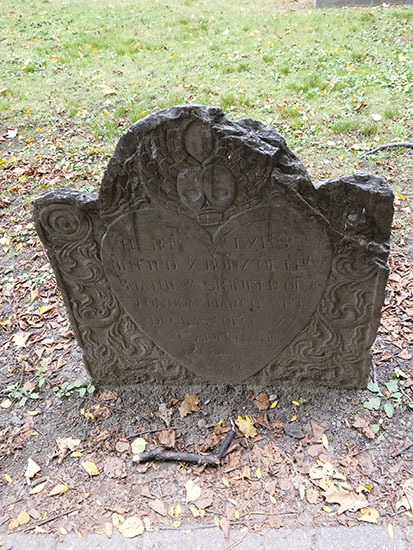 John Hancock’s gravestone marker is one of two large gravestone markers in the Granary Burying Ground Cemetery. 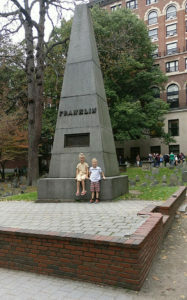 The other large marker, shaped like a giant oblong pyramid, belongs to Benjamin Franklin’s parents and siblings (Ben is actually buried in Philadelphia). John Hancock’s grave, on the other hand, might make you think his last name was Johnson. Seriously, there is no other way to look at this. No. Other. Way. There is no mistaking the intention of this grave. What’s more interesting is that it’s not the original marker. The original gravestone deteriorated to the point it disappeared entirely. That’s when the commonwealth of Massachusetts stepped in and erected this shaft with his handsome face (their words). John Hancock served as governor of Massachusetts and was revered by his constituents – clearly. He not only funded the American Revolution, but of course, was the first to sign the Declaration of Independence. His is the largest marker in the gravesite, paying homage to the fact that Hancock himself (as the idiom suggests) had the largest signature in history. His name is also on the tallest building in New England in Copley Square, also named the Hancock Building. 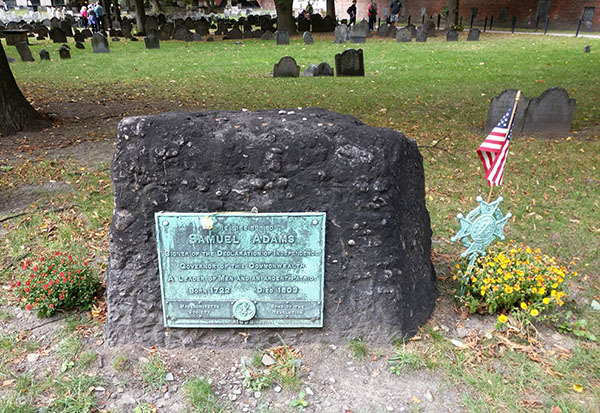 With an identical gravestone marker to James Otis, these two graves serve as bookends for the Granary Burying Ground. Sam Adams actually has no ties to the beer company, and in fact, the picture on the bottle is of Paul Revere because Sam Adams was too ugly. He worked in his father’s malthouse for a season, but was actually known for stirring up trouble against the occupying redcoats and the imposing crown across the ocean as a founding member of the Sons of Liberty (a secret organization set up to fight taxation by the British). The beer company was named after him due to him being the favorite patriot of kickstarter Jim Koch. James Otis coined the phrase “Taxation without representation is tyranny!” which has been changed in recent years to no taxation without representation. He was also an avid proponent for abolition of slavery and was constantly in a scuffle with the tories. During one fight he received a devastating blow to the head leaving him with a fractured skull which was remedied with a lead plate. Naturally, this caused further head trauma along with lead poisoning, which led him in later years to beg God to be struck by lightning – which eventually occurred in 1783. 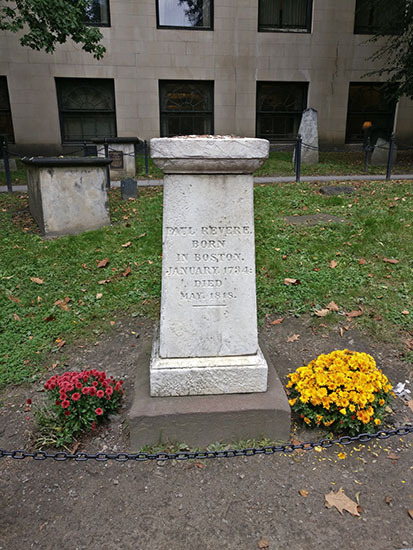 The third in the trio of declaration signers whose bodies reside here in the Granary Burying Ground, Paine was the first attorney general of Massachusetts. In this role he persecuted the 9 soldiers responsible for the Boston Massacre, endearing himself to all supporters of the revolution. 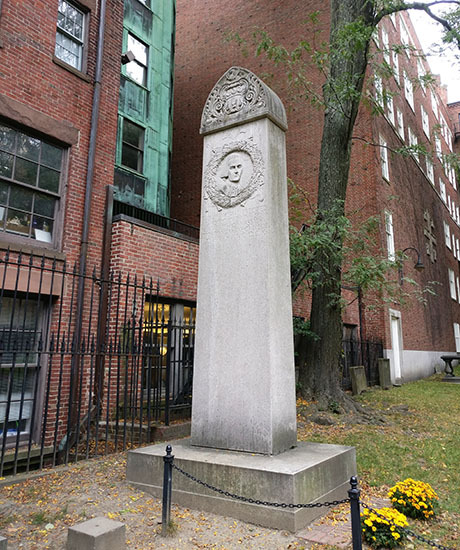 Paul Revere’s gravestone marker sits directly behind the Franklin pyramid. Known for many talents including being an accomplished silversmith, iron, bronze and bell casting, and was the first American to roll sheets of copper for the navy. He became the instigator who changed the tide after the Boston Massacre employing propaganda to depict the events which occurred on the city streets in March of 1770. Among all his achievements he is most famous, no doubt, for his midnight ride. 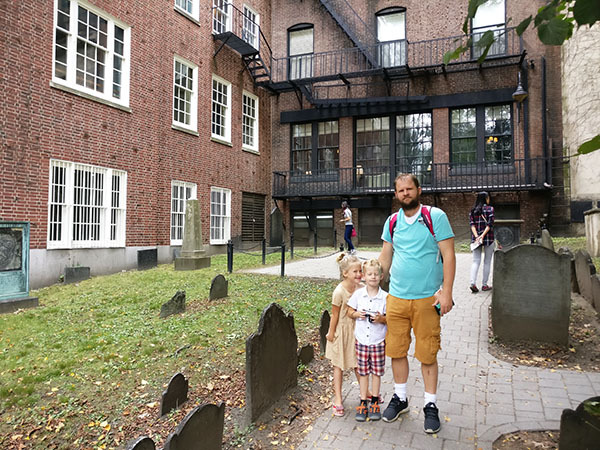 You can tour his house later on down the Freedom Trail. Mary Goose, buried here in the Granary Burial Ground, has inaccurately been attributed as the writer of children’s folk tales known as Mother Goose. It was actually her step-daughter, Elizabeth. After Mary’s death, her husband, Isaac Goose remarried and had six children, one of whom was Elizabeth. Elizabeth sang these songs and told these stories to her grandchildren as she lovingly doted on them while her son-in-law penned the stories he heard and named them the tales of Mother Goose. 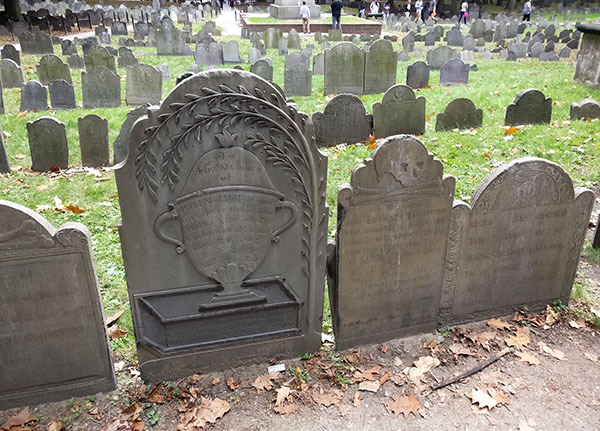 The name of the graveyard, Granary Burying Ground, is due to the fact that it was created on land that was once home to the same granary where the Park Street Church now stands. 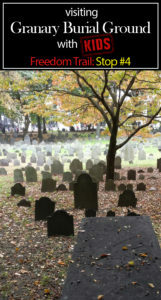 This grave-site is reminiscent of other early grave-sites established throughout this city and the city of Salem. The markers are ornamental with beautiful engravings and designs. One of the most interesting features to us, is how the city has risen up around these ancient sites in a way that apartments and homes have windows that look directly into this famous and compelling historical site. Imagine staring at that ? all day long. ► For Kids: Talk about the ultimate field trip! 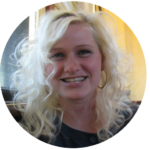 This site is full of fascinating stories, amazing history, and incredible records. This is the place for American Revolution biography. Kids will enjoy walking this site and learning about the place they call home! Have you walked the Freedom Trail? Ordered a cold Sam Adams while looking at the cold Sam Adams? 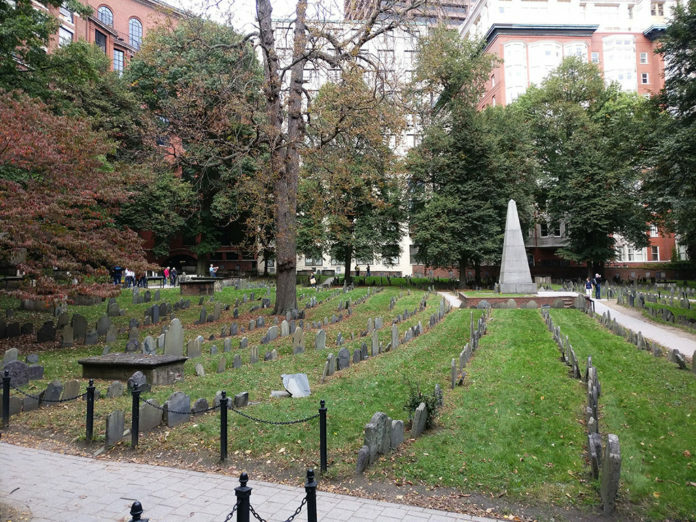 Starred up quizzically at John Hancock’s grave? Tell us all about your experience! 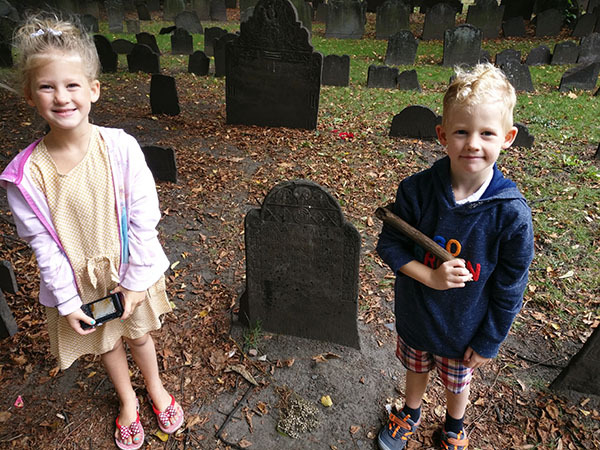 ► Nap-Time Version: The who’s who of grave-sites in the Granary Burying Ground on the Freedom Trail.